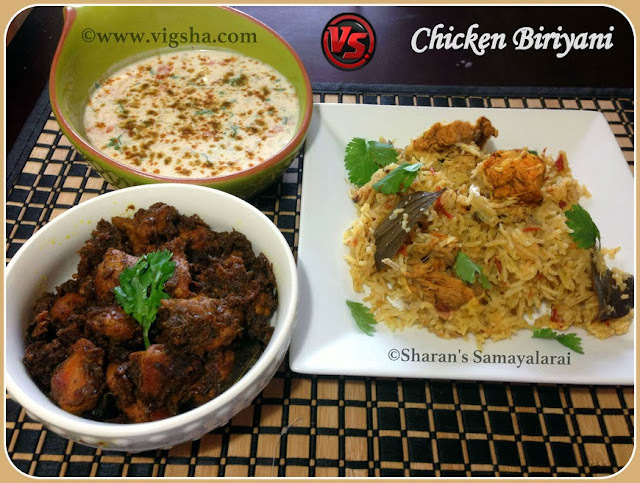 Chicken Biryani is the most popular Indian rice recipe around the globe. Biryani in its basic state is simply a dish containing meat, fish, or vegetables and rice that is flavored with some really amazing spices. Biryani in its basic state is simply a dish containing meat, fish, or vegetables and rice that is flavored with some really amazing spices. My Mom gave me this one-pot recipe, when I was in the early stage of cooking. I never dared to cook Biryani till then. When I got down preparing it, I was surprised as how fast it got over. 1). Marinate the cubed chicken pieces with the items given in "For Marination" for an hour atleast. 2). Wash and soak the rice for 10 minutes in water. Then drain the water and fry it ghee for 2minutes. Keep it aside. 2). Heat ghee/oil in a pressure cooker, Saute the items given under "For Seasoning". When a pleasant aroma emanates, add the onions and ginger garlic paste, saute until the onions are translucent. Add turmeric powder, tomatoes, chicken, salt and 1/4 cup of coconut milk. Pressure cook for 2 whistles. 4). 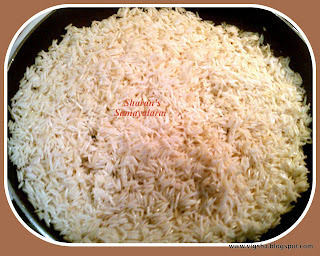 When pressure releases add the remaining coconut milk and basmati rice and mix gently. Close the lid and cook on medium heat. After 1 whistle put off the flame and let the Biryani rest for 10mins. Open the lid and give a gentle stir. 8). 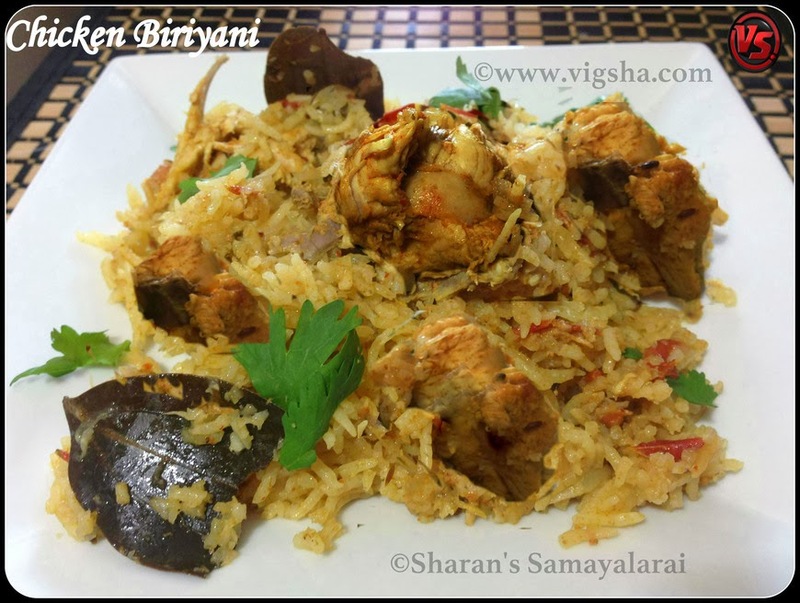 Biryani is ready, fills the air with fragrant mouth-watering spices. Garnish with coriander leaves and serve with Pepper Chicken and Onion raita. Enjoy!! # For every cup of rice, use 1 cup of liquid. # Do not mix the rice too vigorously as it will break the grains. # Usually saffron is used for the biryani, which gives a beautiful color. # Chicken with bones works best for this recipe, but if you prefer boneless, adjust the cooking time. 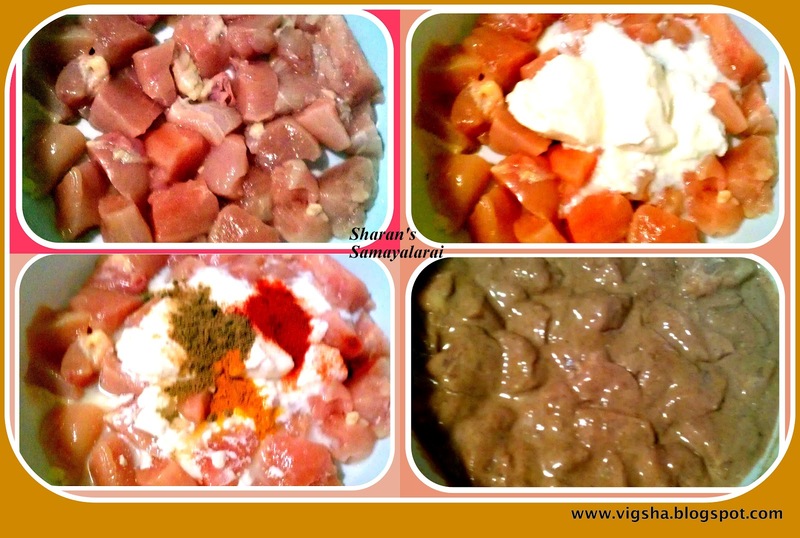 # You can make small slits on the chicken, this well help the masala to penetrate well into the chicken.